The National Media Regulator has suspended BBC and VOA radio stations for six months from broadcasting in Burundi.They have been accused of having violated the law governing the press and professional ethics and the decision will start from 7 May. The Control and Regulation Agency for Telecommunications -ARCT has also suspended their broadcast channels during the same period. Ramadhan Karenga, CNC Chairman says the BBC has ignored the warning note of 16 March that urged the radio station to “rigorously check the sources whenever it deals with sensitive information on Burundi” and observe the principle of balance of information. “The decision has been taken following a report coverage made on 12 March that was detrimental to national cohesion,” says Karenga. The CNC chairman also says the presenter of the program “guest of the week” at BBC did not bring back to the order a Burundian in the logic of the subject treated on 24 April. Karenga says the point of views of the guest could damage the reputation of the Head of State. Concerning the temporary suspension of VOA, Ramadhan Karenga accuses the radio station of not having balanced information broadcast and lack of verification of sources. 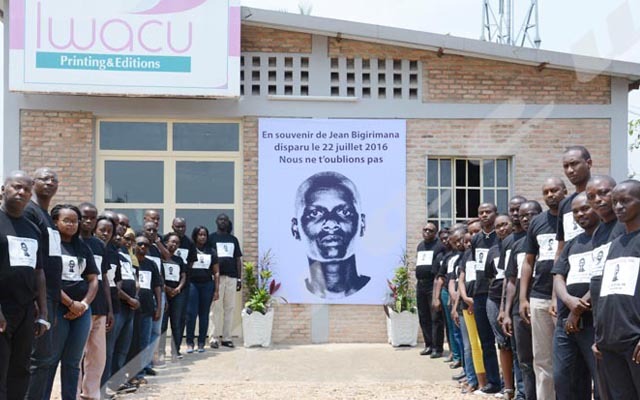 He also says the VOA has recently recruited a Burundian journalist wanted by the government while his international arrest warrant is in force. “In addition to these breaches, the VOA has published in its editions of 4, 5, 17 and 26 April 2018 information that was very tendentious and contrary to the rules of the profession,” he says. Following these suspensions, the National Media Regulator has also suspended the “Ads and Advertising” section of the official newspaper “Le Renouveau” for three months. Karenga says the newspaper publishes advertisements in other languages than French. “”In application to the declaration of publication of 15 January 2004, the daily newspaper is published only in French and not in other languages”. The CNC chairman also warns Isanganiro and CCIB FM + radio stations about the lack of their specifications in relation to the “rigorous” verification of the sources of information and compliance with the program schedule. The RFI is also concerned about this warning.